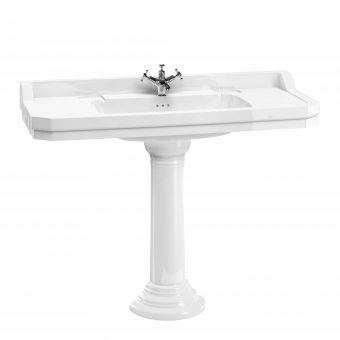 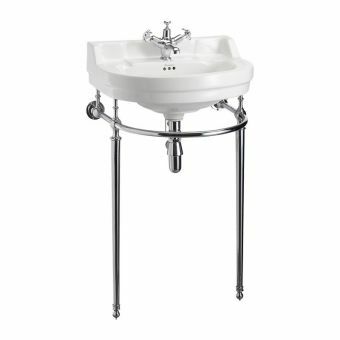 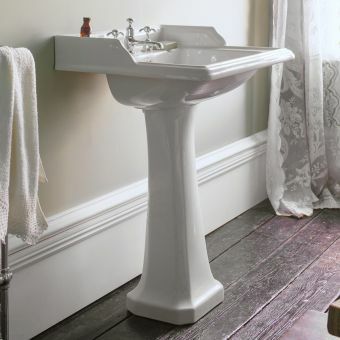 Add a touch of class and sophistication to your cloakroom or small bathroom with the Burlington Edwardian cloakroom basin. 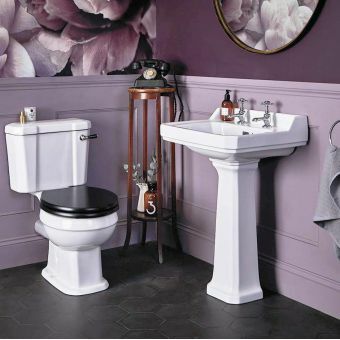 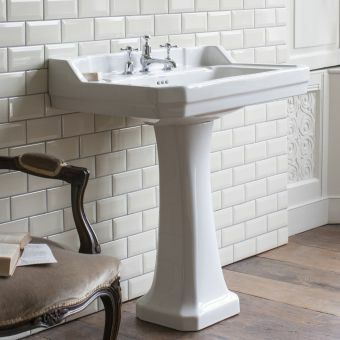 This basin is stunning and looks equally wonderful paired with period features for a Victorian or Edwardian look, or combined with industrial elements for a more modern Manhattan loft style, monochrome look. 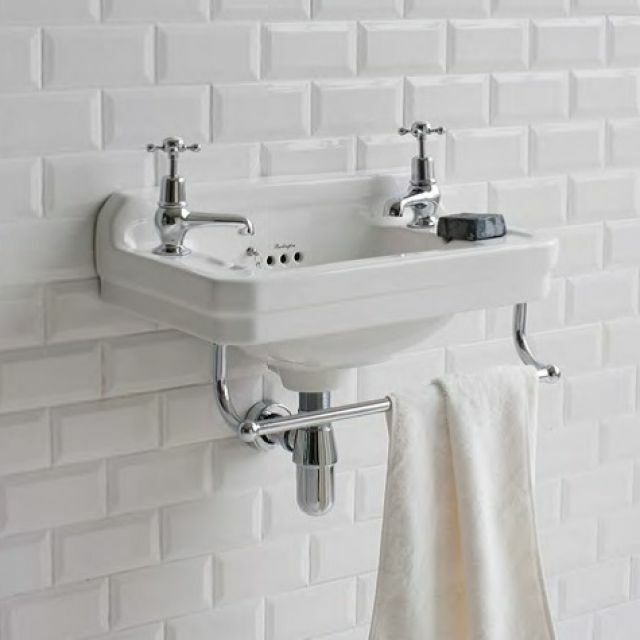 An optional towel rail can be purchased to complete the look, adding a functional element to this otherwise unused area, hang a hand towel there for convenience. 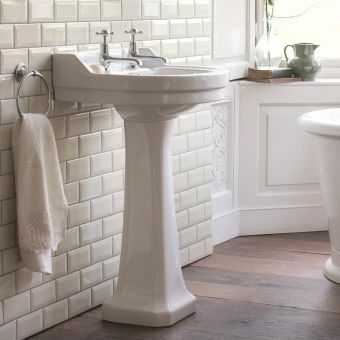 The vitreous china basin is made from high quality fine textured ceramic, and the patented nano glaze is sparkling white and very easy to clean and maintain. 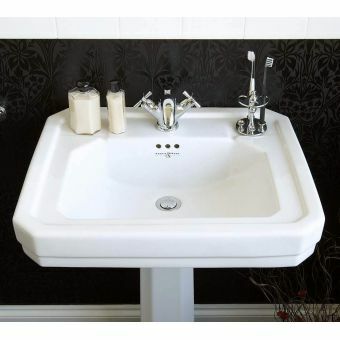 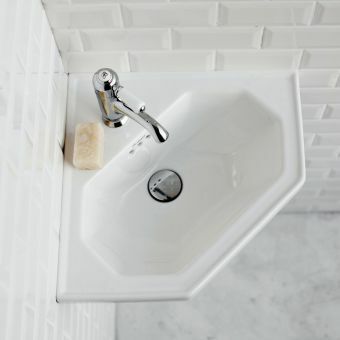 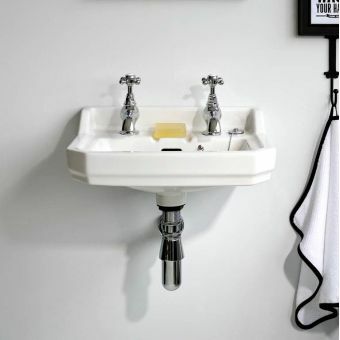 Suitable for any UK taps, we would recommend cloakroom taps such as the Burlington Kensington Cloakroom Taps. 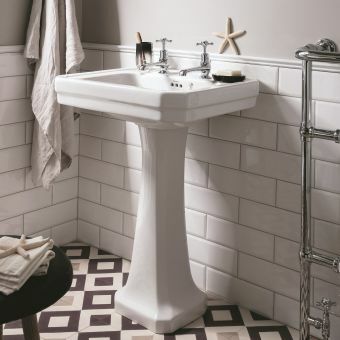 evocative basin to remind us of times gone by when good design wasn't an optional extra! 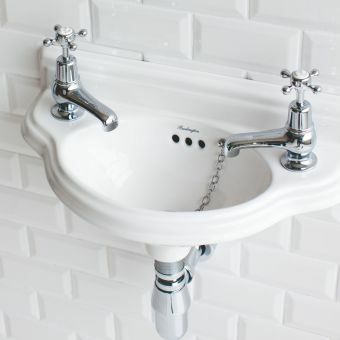 Simply beautiful, can't believe that they can make such a high quality item for the price, delighted! 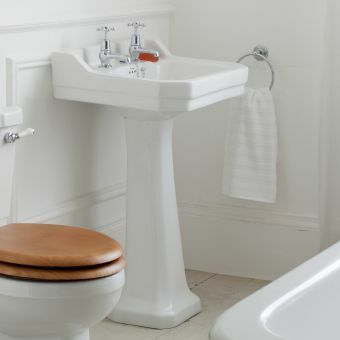 Second purchase from UK Bathrooms, service and delivery faultless, if only every company was so good! 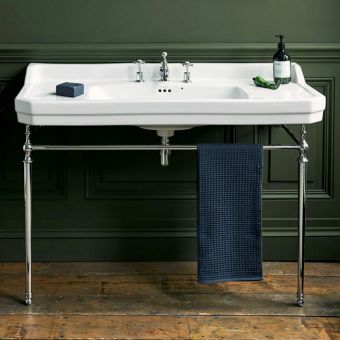 Delighted with towel rail that looks fab on the basin, worth the extra. 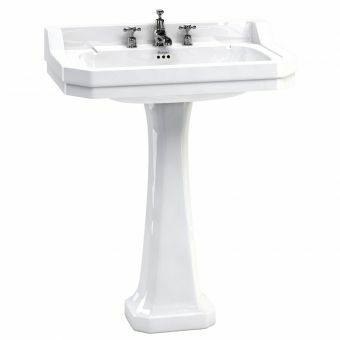 Excellent company. 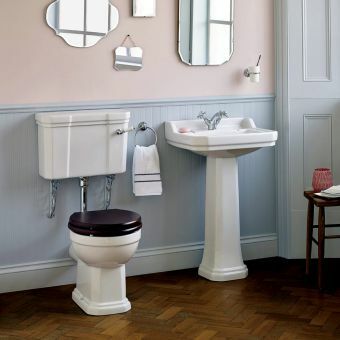 Will definatley use & recommend Uk Bathrooms, brilliant service, very helpful, highly delighted with our Burlington Basin, just perfect!